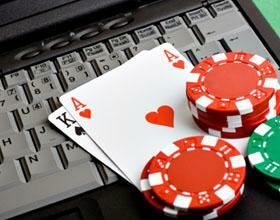 Why should you stick to playing free online casino games? Most online casinos will tell you why you should make the switch from playing free casino games to playing for real. But we’re not like most casinos, so we’re doing things differently. Today, we’re going to make the case of why you should stick to playing free online casino games. It might run contrary to logical behavior from an online casino, but hey, we do things differently at Palace of Chance. Played live casino games? Online does a great job of recreating the experience, but there are certain things you need to be aware of playing live that you might not need to think about when you play in a casino. Things like having full control over the speed. Things like clicking chips to place a bet and not locking anything in until you hit Spin or Deal. Rather than sorting through everything while you bet for real money, playing free online casino games is a smarter approach. We recognize that there’s lot of competition when it comes to playing online casino games. And not every casino is the same. There are many different software providers out there and each one has different user interfaces. Perhaps you’re used to playing Blackjack at one online casino. When you switch to another one, the buttons might be in a different place. The speed might not be quite what you’re used to. And the layout may be a bit unfamiliar, even though they all mimic a real-world casino. Playing free games let’s you make mistakes as you get a feel for the software without risking any real money. Afraid of commitment? With free casino games, you don’t have to commit to anything. If you want to try a new game, go right ahead. You can hop in, place a bet, and hop out without wondering if that machine was about to get hot or not. Since the money you stand to win is only pretend, not winning won’t hurt. When you play online slots, you have the option to adjust your bet per line. If you’re working with a small bankroll, you might be tempted to place small bets in an effort to conserve your bankroll. But when you play for free, you don’t have to worry about doing any of that. Since the money is pretend, you can bet what you want. That means you can play every payline, qualify for the biggest jackpots, and ensure that you’re eligible to play the top bonus rounds. Sign up for an account and enjoy all the free games you can handle, no risk whatsoever. Even after you start to play for real money, you’re always welcome back to the free tables, slots, and video poker games. Our free casino games never close.